Places for the Etape Mercia, the UK’s third closed road sportive, went on sale today. Over 2,000 places are available for the August event in Cheshire. The Etape Mercia is the third event in IMG’s series, following on from the Etapes Caledonia and Pennines that between them cater for over 8,000 riders. 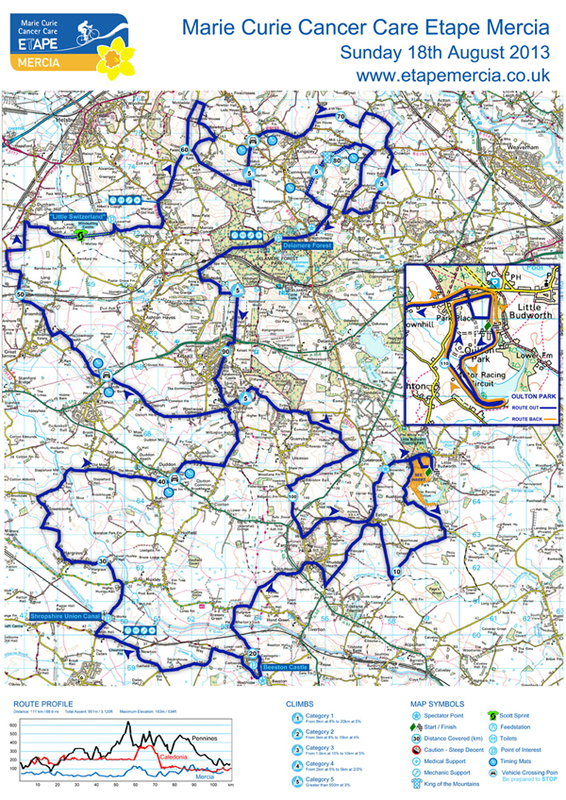 The new event is based at Oulton Park race circuit in Cheshire and has just one 69 mile route for everyone to follow. Billed as an entry level event the Etape Mercia covers an undulating route taking in Beeston Castle, Delamere Forest and the Mid Cheshire Ridge. A timed King of the Mountains section is on Yeld Lane in to Kelsall village.